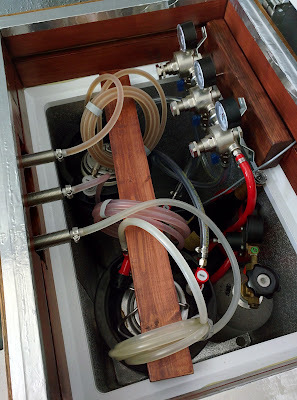 After a horrible month or two of having to go out and buy beer like a savage, I finally have my keezer fully stocked with delicious liquid refreshment. The ESB-ish thing I made the other week was just connected to gas tonight. I am following the Brülosophy Quick Carb schedule for it, which I have had respectable results with in the past. Didn't take any pictures of it...not much to see at this point in any case. 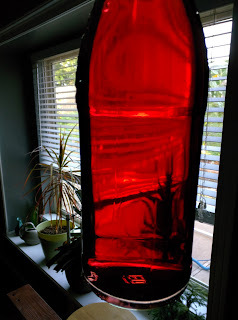 I have another 2.5 gallon keg with a batch of Danger Dave's Dragon Blood wine. I will be doing a post about it soon, but I gotta say how impressed I am with it, at least with the color. 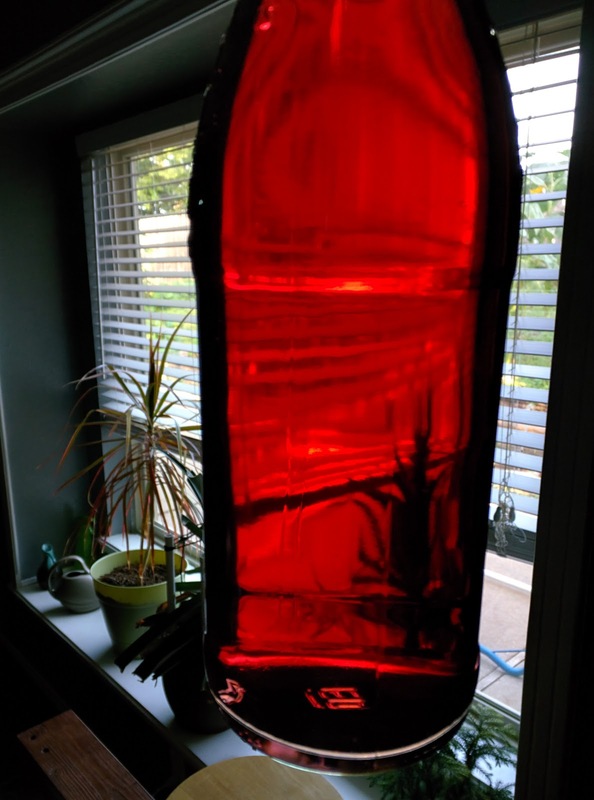 Crystal clear, with a gorgeous ruby red color. Flavor wise it isn't bad, I dare say its even relatively good. A little tart for my tastes, and a bit of harshness. 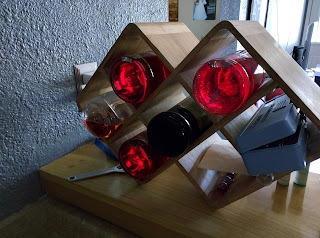 I pulled off 6 clear swing top bottles worth for various reasons; mostly for gifts. It's much better than my first attempt at wine from about a year ago though. That batch was basically cloudy prison hooch that tasted like cloyingly sweet, fruity rubbing alcohol and threatened to explode in the bottle. What a change proper temperature control, yeast nutrient, aeration, blah, blah, blah can make! My final keg is my 5 gallon one...filled with W00tStout. A 13% ABV monster of a beer. I've been dying to try this one since I poured it into the fermentors (had to split the batch) in February. Finally, it nears completion. I've tasted a bit of it cold but flat as it's carbing up (which is taking a while...). Very complex, but its a little hard to drink. Given how thick it is, it might not have attenuated fully. I'll do a full review and write up of the process once it is ready. One last picture: my keezer/fermentation chamber in keezer mode. It's a tight fit, but it works well.